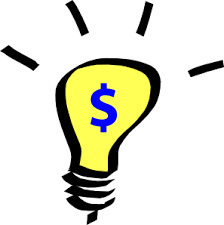 Innovation funding opportunities may be important to your business! Are you part of a small business innovation team? Do your customers require innovative products from your company? Are you struggling to secure the necessary resources to expand your R&D and Innovation capability and reach? If your response to these questions is yes, you might consider looking at the different funding opportunities provided by the Small Business Innovation Research (SBIR) program. There are eleven agencies that participate in the program, with a cumulative budget of over $2.2 Billion. While, each agency manages its own program the application process is similar. The agencies designate research topics in their solicitations and then evaluate proposals from small businesses. The awards are made on a competitive basis after a proposal evaluation period. The largest participating agency is the Department of Defense with over $1 Billion in funding, followed by Health and Human Services, Department of Energy, NASA and the National Science Foundation, with approximate budgets of $650, $170, $140, and $131 million respectively. The agencies support the commercialization of critical technology in a wide spectrum of markets and capabilities, creating opportunities for the majority of innovation driven small businesses. Phase 1. The purpose of this phase is to demonstrate the technical feasibility and commercial potential of the project technology. Additionally it establishes the capability of the small business to commercialize the technology. Awards range from $85,000 to $150,000, depending on agency, for 6 months. Phase 2. The purpose if this phase is to continue the effort of Phase 1 and to bring the technology to a commercial readiness level. It is expected that potential customers participate or support the project. Awards range from $750,000 to $1,000,000 for 2 years. Phase 3. The purpose if this phase is to commercialize the technology. While the SBIR program does not fund this phase, multiple agencies support it by providing production contracts, or facilitating additional private funding opportunities. Each agency limits how the money can be spent. The company is required to maintain accounting standards and subject to internal accounting audits. Standard government business practices, such as where the work will be performed, purchasing practices and other Export Controls/ITAR requirement for the DoD. While these are just minor issues, you should be aware and understand the additional cost of added business processes.